Health benefits of tea have been known for thousands of years. Nowadays, in our search for health elixir, we find ourselves on the same journey as a character from “The Arabian Nights” story who traveled far abroad only to learn that the treasure is back home. Tea seems to be just that treasure. 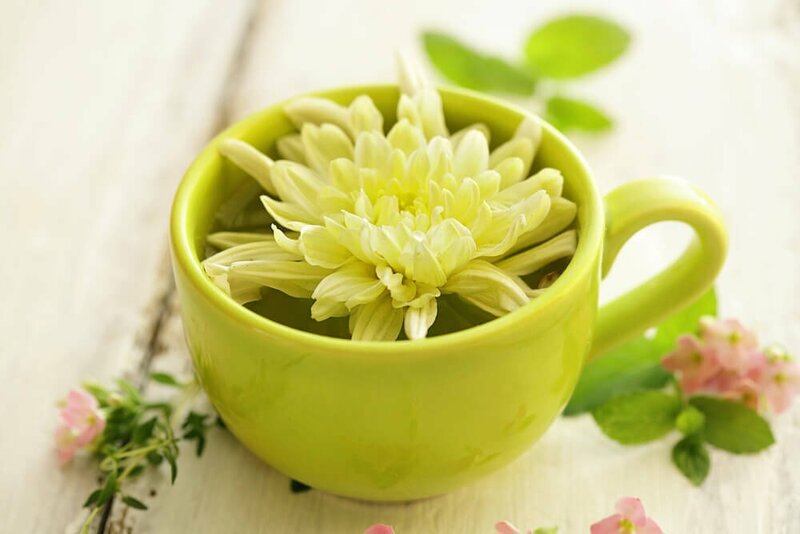 We have been looking far and wide for a miraculous health potion and suddenly a newly emerging body of scientific research spikes our interest in beverage made of leaves of Camellia sinensis plant. Get the leaves withered and steamed- and you have green tea, let them get oxidized – you have black tea, interrupt oxidation halfway – here is your oolong. Is tea a new power food? Health benefits of tea have been mentioned since early Chinese scripts dating back to ancient emperor dynasties. As today’s Westerners begin to tune in to healthier eating habits and look for foods packed with nutrients, tea acquired the same status of “power food” as green leafy vegetables, fish, and whole grains. The tea leaves contain a number of phytochemicals which give the tea its characteristic color, flavor, and healthful qualities. The taste, however, mainly results from various polyphenols, that are recognized to be potentially healthy antioxidants. Other beneficial phytochemicals found in tea are amino acids (theanine), caffeine, fluoride, vitamins, and minerals (1). Let’s take a closer look at some of them. Tea polyphenols are natural antioxidants. You may also find terms like tannins, flavonols, flavonoids, theaflavins, and catechins. Don’t get confused! Those are different subtypes of polyphenols found in different kinds of tea. Most of the polyphenols in green tea are flavanols, commonly known as catechins. During the production of black and oolong teas, tea leaves are allowed to wither, which results in the concentration of polyphenols in the leaves. The withered leaves are then rolled and crushed, initiating the process of fermentation/oxidation (two chemically different processes, however, these terms are often interchangeable in tea industry jargon). During these processes, the catechins are converted to thearubigins and their subtypes theaflavins commonly referred as tannins. While catechins are the prevalent polyphenols in green tea, tannins are the main type of polyphenols in black tea. Not only they are potent antioxidants, they are also responsible for black tea’s characteristic color, briskness, and flavor. Black teas are often described as having “tannic quality”, meaning having astringent and bitter notes. Despite the fact that green tea is getting its popularity as “healthy” tea, all types of tea contain potentially beneficial antioxidants (2). As some nutritionists believe, the tea antioxidants might protect body cells from free radicals and their cell-damaging oxidative effect associated with environmental toxins like cigarette smoke, sunlight, and toxic chemicals (3,4,13). Polyphenols in tea may interfere with other food nutrients. Some studies found that polyphenols inhibit iron absorption (5). That is why it doesn’t make much sense to have tea with your steak dinner (after all, you have wine for this!). Instead, enjoy your cup of tea between meals. Caffeine is the world’s most popular, wildly used (and legal!) stimulating substance. It is recognized to be generally safe for adult consumption (mind the lethal dose of 10 grams which is equal to 12 gallons of McDonald’s coffee). Excluding extremes, caffeine is a part of a healthy lifestyle. A morning or afternoon cup of a caffeine-loaded hot beverage is a welcome and often essential boost of energy for many. Caffeine is known to reduce physical fatigue, prevent drowsiness, increase focus, endurance, and task performance. The powerful combination of caffeine and L-theanine in tea really works wonders. It promotes alertness, attention, and overall learning abilities (14,15). Despite the widespread misconception, caffeine content in tea does not depend on the type (color) of tea (18,19). The level of caffeine in tea varies depending on particular kind of tea and time of preparation (the longer you steep, the more released caffeine in your cup). However, high quality “tippy” teas made of younger tea leaves and buds tend to be higher in caffeine. In general, caffeine content in tea per serving varies between 14 to 61 mg (19), comparing to 80-175mg per serving in coffee depending on preparation method. Note that herbal teas and rooibos are not made from Camellia Sinensis plant and are naturally caffeine-free. And as if that were not enough to appreciate a good cup of tea, here is some more facts about tea nutrients (1) and their potential health benefits. Tea is a wonderful drink for any time of the day. If you are feeling down – drink tea and it will uplift you. If you are hyper and uneasy – it will calm you down. And a good company always sweetens the tea. The existing body of research on health benefits of tea is quite extensive and constantly growing. Some of those studies show promising results. Consumption of tea found to be associated with 16% lower risk of developing type 2 diabetes (26), 27% lower risk of coronary heart disease (27), 18% lower risk of stroke (27), 26% lower risk of cardiac deaths (27), 34% reduction in risk of ovarian cancer (28), 37% lower risk of Parkinson’s disease (29). At the end of the day, it doesn’t matter how many double-blind, randomized, and placebo-controlled studies will be conducted with an aim to prove an obvious fact that tea drinkers live longer and healthier lives. We, the casual tea sippers, are well aware that besides all those phytochemicals, vitamins, and mineral, there is a healing and revitalizing power in tea ritual itself. Brewing a real loose leaf tea, slowing down, relaxing and enjoying your cup (three times a day!) – there must be something about it. Please note, we don’t give any medical recommendations. All information related to health benefits of tea in this article is for your reference only and requires further verification. Always do your own research and talk to your doctor if you have questions. -That depends a good deal on where you want to get to. Colds And Flu. Fight it with lemon, honey, and ginger tea. Health benefits of tea. Sources. 1. Takehiko Yamamoto, Chemistry and applications of green tea, CRC Press, p. 14, p. 19 1997. 2. Lai Kwok Leung et. al., Theaflavins in Black Tea and Catechins in Green Tea Are Equally Effective Antioxidants, Journal of Nutrition, 2001, Vol. 131, pp.2248-2251. 7. Yokogoshi H, et al., Reduction effect of theanine on blood pressure and brain 5-hydroxyindoles in spontaneously hypertensive rats, Bioscience, Biotechnology, and Biochemistry 1995; 59: 615-618. 8. Hintikka J, Tolmunen T, Honkalampi K, et al. Daily tea drinking is associated with a low level of depressive symptoms in the Finnish general population. Eur J Epidemiol. 2005;20(4):359-63. 9. Kakuda T, Nozawa A, Unno T, Okamura N, Okai O. Inhibiting effects of theanine on caffeine stimulation evaluated by EEG in the rat. Biosci Biotechnol Biochem. 2000 Feb;64(2):287-93. 10. Hedese S et. al., Effects of chronic l-theanine administration in patients with major depressive disorder: an open-label study. Acta Neuropsychiatrica 2016 Jul 11:1-8. 11. Kobayashi K, et al., Effects of l-theanine on the release of alpha-brain waves in human volunteers. Nippon Noegikagako Kaishi 1998; 72 (2): 153-157. 16. Russ Mason, 200 mg of Zen: L-Theanine Boosts Alpha Waves, Promotes Alert Relaxation, Alternative and Complementary Therapies, Vol. 7, No. 2, pp. 91-95, Apr. 2001. 17. I. Hindmarch et. al. A naturalistic investigation of the effects of day-long consumption of tea, coffee and water on alertness, sleep onset and sleep quality, Psychopharmacology, Vol. 149, No. 3, Apr. 2000. 18. M. Friedman et. al., Distribution of catechins, theaflavins, caffeine, and theobromine in 77 teas consumed in the United States, Journal of Food Science, Vol. 70, No. 9, Nov-Dec. 2005, pp. C550-C559. 19. Jenna M. Chin et. al., Technical Note: Caffeine Content of Brewed Teas, Journal of Analytical Toxicology, Vol. 32, No. 8, Oct. 2008 , pp. 702-704(3).